(YOU CAN SKIP THIS! )Well I got into an argument. I do that a lot. 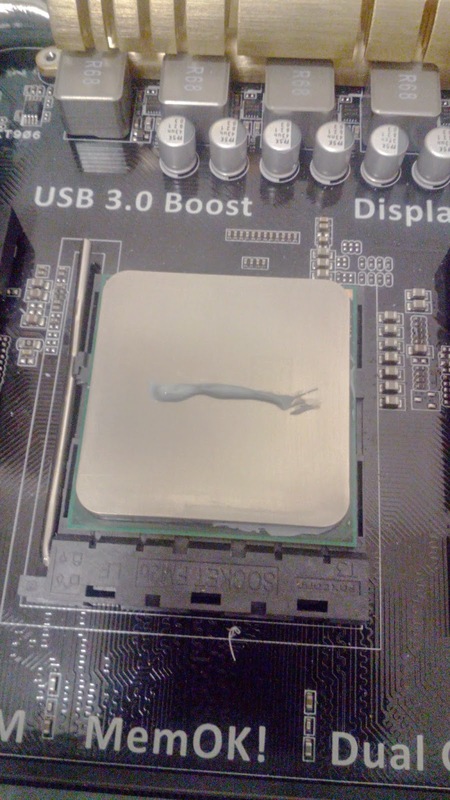 This one was about thermal paste application methods. I was given a video from Tek Syndicate as proof that I'm wrong. As you can see this video is not scientific in the slightest. The plexi glass and pressure is applied by hand. Plexi glass is flexible. And there is 0 real world testing. So just like I decided to test fans by measuring temps on a real CPU because that's actually useful. 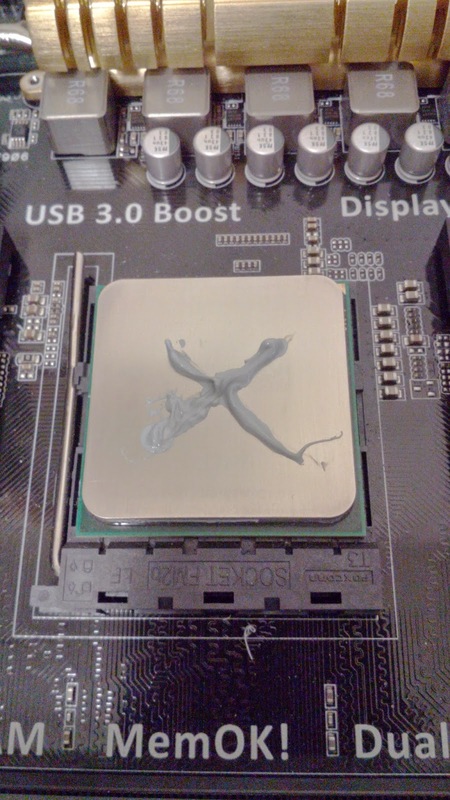 I decided to do the same for thermal paste. 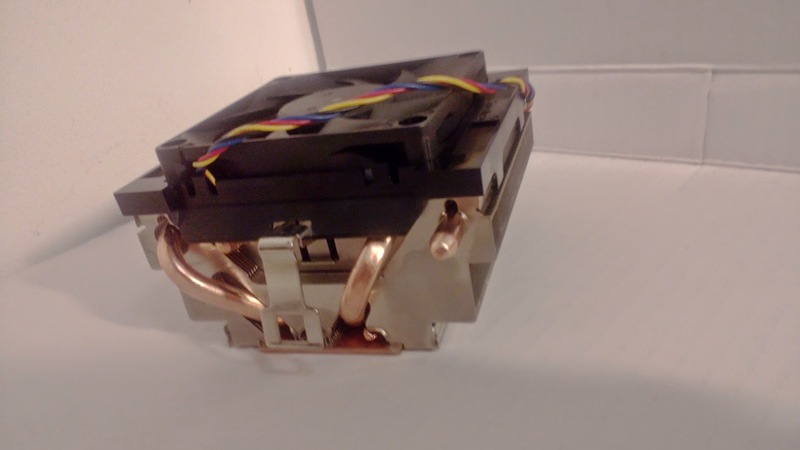 I'm using the stock 125W AMD heatsink because it has a simple and very pressure consistent mounting system minimizing the amount of systematic and human error in the testing. As always I'm also monitoring room temps with my crappy thermometer and using the default IBT for my load. The 750K is at 4Ghz using 1.35V(medium LLC) and the RAM is the G.skill ECO on XMP. My margin of error is 1C° because I couldn't keep the room at a steady 24C° it was swinging between 23C° and 25C°. 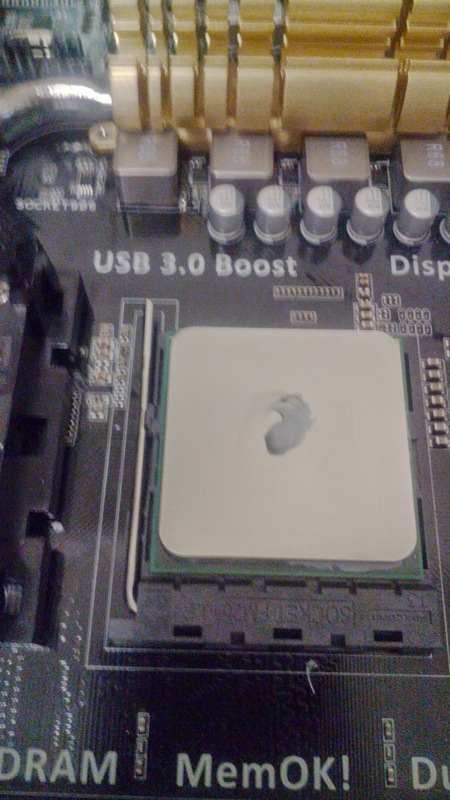 The thermal paste I'm using is Arctic MX-2. Notes: For this one my ambient temps drifted heavily into the 25C area so while this looks like a bad score it's actually about on par with everything else I tested. Notes: This one did have a short spell of 25C° at the start but spent most of it's time between 23 and 24C°. So no this method is not terrible but it doesn't have any benefit that I can see and it takes for ever to do it right. Notes: Spent most of it's time at 23C and still scores like methods that were tested at 25C. This method is the worst. 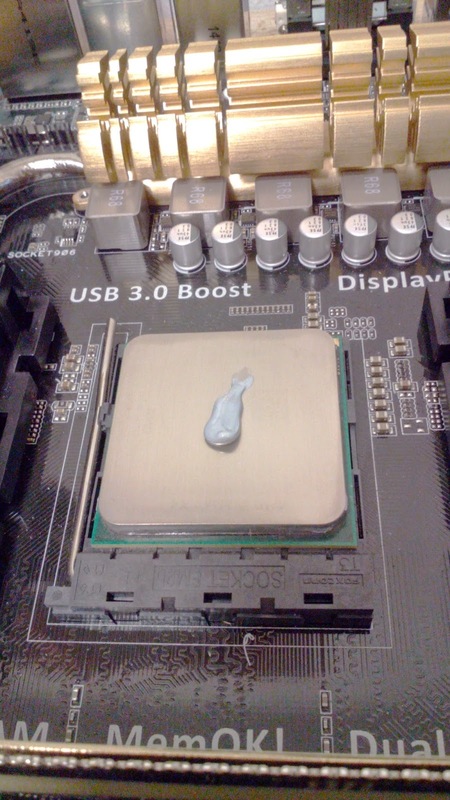 Notes: This test is just to check that the paste actually works. However I must say I'm surprised I thought this would totally overheat but it actually managed to finish IBT at 25C ambient even with the overclock. The testing revealed exactly what I thought I would see. Given that you use enough paste you will not see much variation between application methods. I would however like to note that the AMD 125W stock cooler doesn't not have a very high mounting pressure and the AMD CPUs have massive dies compared to intel CPUs. This means that if there was an air bubble right in the middle of the IHS and heatsinks contact it would have very little impact on performance. 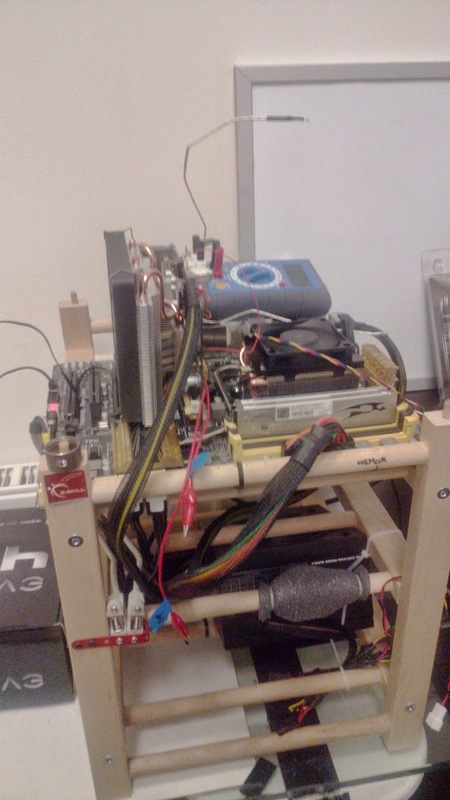 I currently do not have a cooler with a spring loaded mounting system to test with and I don't have a haswell system but once I get those I will do this testing again because I believe there will be much more variance there. 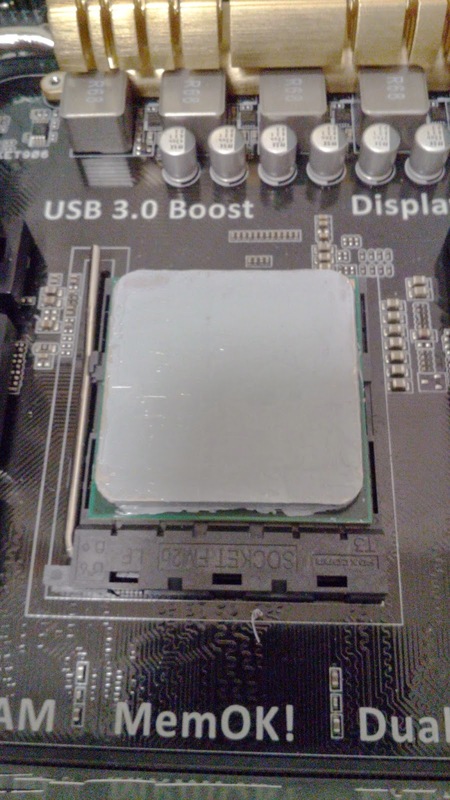 I also believe that large IHS like LGA 2011 will see a difference. One last thing to note is that the viscosity of the paste you use will change the results. IF you have a paste with high viscosity like MX2 it will easily yield to pressure and spread out very thinly on it's own. However if you have a less viscus paste even very high pressure will not spread it out fully. In those situations methods like the flats spread, 5 pointer and X should work better. Also I think 4Ghz was a little tame for the cooler I was using. If enough people complain I'll do a retest at a higher thermal load. You can also leave suggestions for more application methods in the ANONYMOUS and PUBLIC comments bellow. The results of this testing mean that I'm still undecided about what method is the best but at least I know that none of the methods I use on my builds is bad. Please go check out my sponsor Sillicon Lottery. They are the #1 reason that I am putting out more and better content and more consistently. 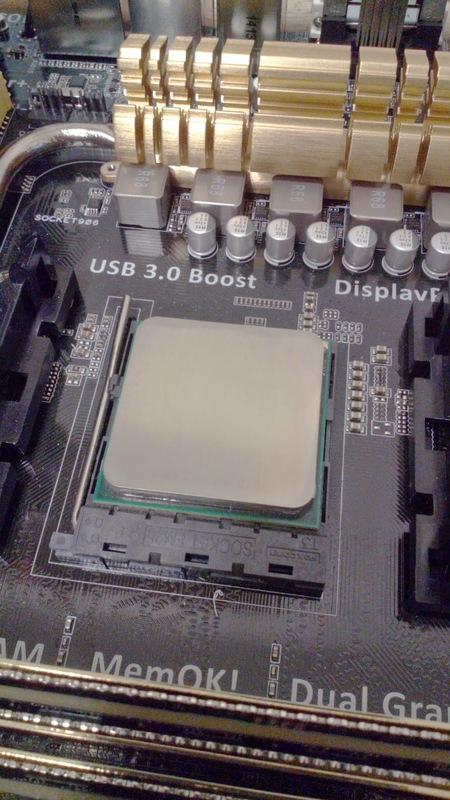 They sort CPUs by their overclocking capability so that you can get around the silicon lottery and get a CPU that won't dash your hopes by need 1.35V at 4.5Ghz. You've shattered my world. I shutter to think of how many hours of my youth were wasted spreading out paste using a credit card or whatever else i had on hand.